For our first CultureMap Social of 2015, we decided a little art appreciation was in order. We welcomed hundreds of Dallas young professionals to the Fashion Industry Gallery downtown for a fun-filled evening of food, drink and, of course, art. Glam guests — thrilled by the recent uptick in temperatures, judging from their chic attire — dropped off their cars with the valet and went straight for the Cadillac parked at the door that welcomed them inside. Once up the stairs, they were taken aback by the abundance of activities. For starters, they shopped a special pop-up from the Crow Collection’s Lotus Shop, then proceeded to paint mini masterpieces at the Pinot’s Palette station. Manicurists from new-to-town MiniLuxe provided touch-ups for their nails. And those with a fondness for contemporary art couldn’t keep their eyes off of the intriguing video installation set up by Zhulong Gallery. Those who came for the food and drink were not disappointed. They snacked on bites from Savor Gastropub and hit the beverage stations for beer, wine and bubbly provided by Ben E. Keith. Members of our partner organizations — including Dallas Association of Young Lawyers (DAYL), DMA Juniors, Dallas Downtown Inc. and Dallas Art Fair — settled into the Post Properties lounge to determine which booth to hit up next. Swag from Read Between the Lines and Foot Cardigan was there for the taking. 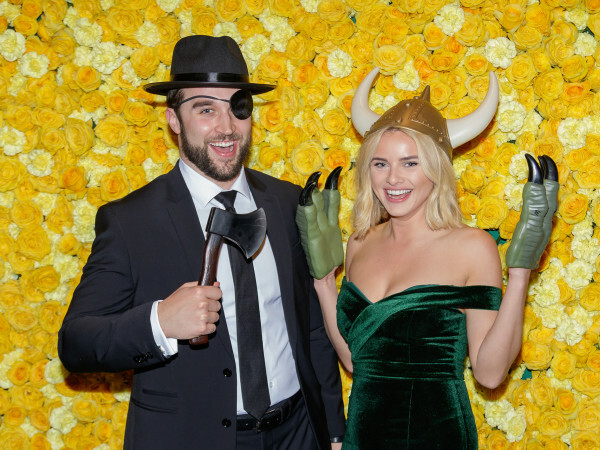 DJ Blake Ward spun the background soundtrack while partygoers — including Priya and Veeral Rathod, Alexander Muse, Catherine Cody, JB Hayes, Kirsten Williams, Linda Snorina, Matt Alexander, John Adolph, Kristi Heinrich, Katie Norwood and Melissa Simon — mingled with friends, new and old. As guests left, those who snapped their pic in Cadillac’s Air Graffiti photo booth were hooked up with Sucre Sucre by Lucia macarons, which were served out of the trunk of the Cadillac parked out front. They also scored free valet with their ticket purchase; however, many chose to leave the crew a tip using the Parqer app. Once inside their cars, these YPs discovered a brochure previewing the Dallas Art Fair, which takes place April 9-12 at F.I.G. We know we’ll be there. Will we see you?